Hamilton West Parish Church and Gilmour and Whitehill Parish Church are both within the Presbytery of Hamilton, separated by a mere 0.6 of a mile. Below are details of where we meet for Sunday Services and the halls used for social activities throughout the week. 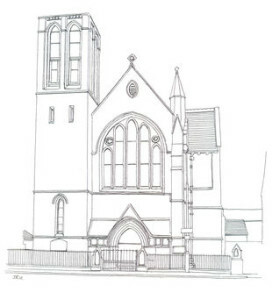 Hamilton West Parish Church lies at the junction of Burnbank Road and Clydesdale Street, next to the entrance to Hamilton West train station. Social activities take place in the halls and these are accessed from the door nearest the train station in Clydesdale Street. Parking: Ample parking can be obtained at the pay and display car park . There is no charge on a Sunday or evenings, however please check the sign for up to date times and costs. Both churches have disabled access and toilet facilities. In both churches the sanctuary is equipped with a hearing aid loop system. 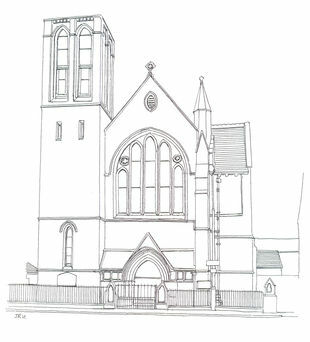 Gilmour and Whitehill Church is located in the heart of Burnbank. Activities in the hall, including the daily coffee lounge, are accessed through the doors at the side of the church. Parking is available on the streets surrounding the church or in a car park across the road.